Product value attracts customers, product quality earns respect, and innovation makes your product distinct in the competition, charms the competitor’s clientele, as well as maintain your own customer loyalty. The successful implementation of these three elements guarantees a bright future. Six Sigma is a structured quality improvement methodology that is based on data. Although it is great, there are also some bottlenecks during the performance of DMAIC. TRIZ is an inventive methodology that can make people more inventive and creative. By integrating the ideas of TRIZ into Six Sigma, the product can achieve a better quality, so that the company can survive in the highly competitive market. 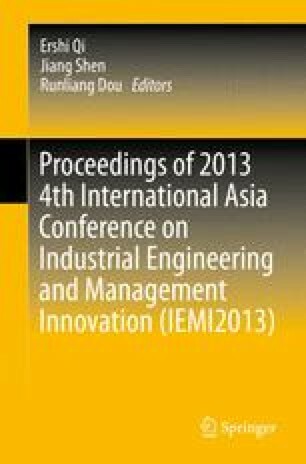 This paper firstly reviews TRIZ from the perspective of product/process creativity, innovation, and the traditional Six Sigma methodology – DMAIC, and then analyzes the necessity of integrating TRIZ into Six Sigma. Finally we sum up with how TRIZ is integrated into Six Sigma, and what can be achieved in this integrated process.